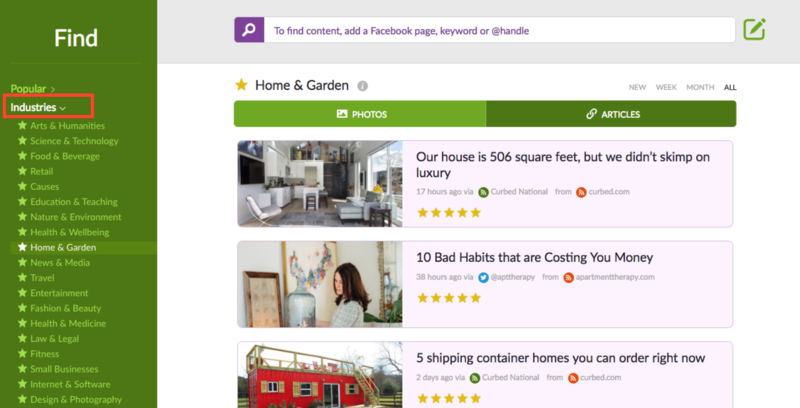 Have you started adding your own sourced content to Post Planner? Finding and sharing trending content can be tricky. But it's key to growing a loyal and engaged audience. That's why we're bringing you, "Industries," a content source collection. This can be found within the app under a tab of that name and in expanded form here in this article. This is your BIG list of the most shared and talked about stories in your industry. Our team has put together a huge list of content source collections. Below you'll find curated content based on top industries and niches. Plus, with your Post Planner paid subscription, you get direct access to the deep link of pre-created folder of content. That's right... we did the research, consolidated the most popular content on the web, and added it to a folder in Post Planner. Read through the list of industry and niche content. 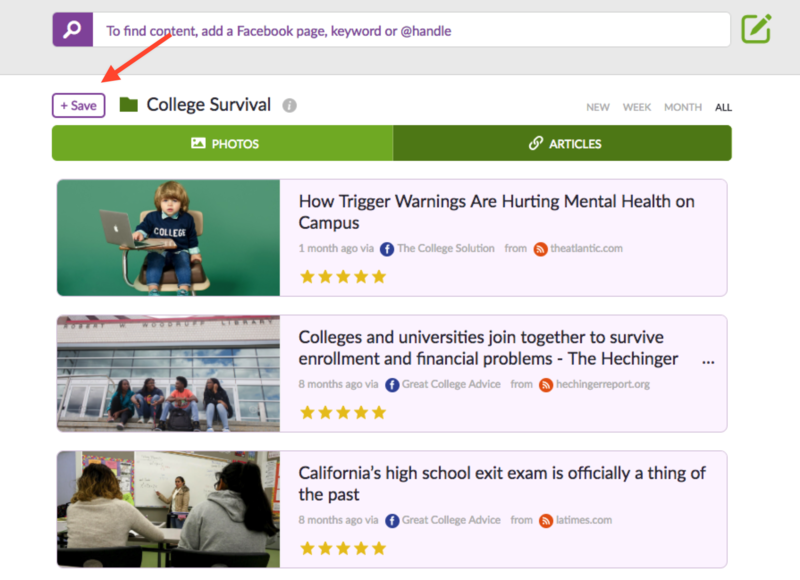 Choose a topic and click on, "Save to Post Planner." When the app opens, click the, "Save" button to drop it into the, "My Content" section of your app. It's that simple! Help your audience become the best DIY makers possible with your unique arts and crafts content. Let creativity take flight! Erasing wrinkles, younger looking skin, the latest and greatest beauty products. Everything your audience is looking for is found in this collection. From college life to university living, beauty, fashion and finance tips, this collection is everything college bound or current college students need to survive. When you need the latest entertainment news, celebrity gossip, top trending movies, music, and more - this is the content source for you. This collection includes what to wear, how to wear it, and the latest fashion ideas so your audience never has to guess at the top must-have fashion trends. If your audience is eager to develop visual content to create effective, exciting user experiences, this curated content source will help them learn the skills necessary to get started. What's the key to healthy living? It's making conscious decisions that empower you to live a healthy, happy, and fulfilling life. Grab this curated list of health and wellness content. Buy a new home? Getting ready to decorate your new apartment? This list of content sources will help your audience be prepared for any home or garden decision. Network marketing, or multi-level marketing, is one of the fastest-growing business models of the past few decades. Take hold of its power with this list of curated content. Small business news, tips, and inspiration including leadership, entrepreneurship and innovation. Whether it’s a tablet or smartphone, smart device for the home, headphones or microphones… people are in love with technology. And you can capitalize on that with this curated content source. Travel tips, advice, recommendations and news for your travel loving audience.